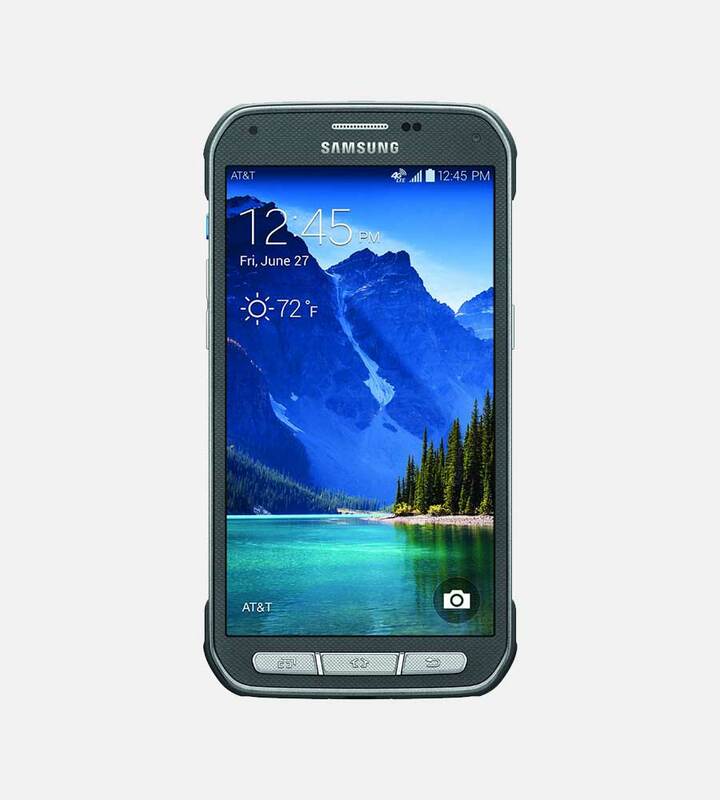 Mr Aberthon is proud to present our Samsung Galaxy S5 Active. 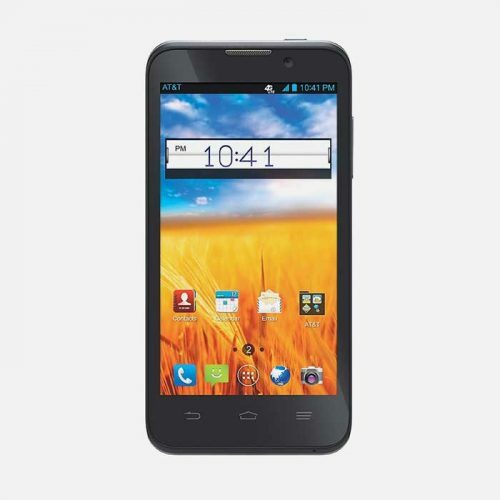 This device is unlocked and compatible with all GSM networks. The phones is also completely covered by our amazing 14 day return policy. See the FAQ page for more information. What’s in the box: Samsung Galaxy S5 Active, waterproof backdoor, 2 piece Samsung charger, battery, and headphones. Is This Just Another Galaxy S5? Well, yes and no. There’s a reason why the Samsung Galaxy range is one of the biggest selling smartphone ranges ever. Great design, great technical specs and great features all separate it from some phones that have one or two of those but rarely combine all 3. 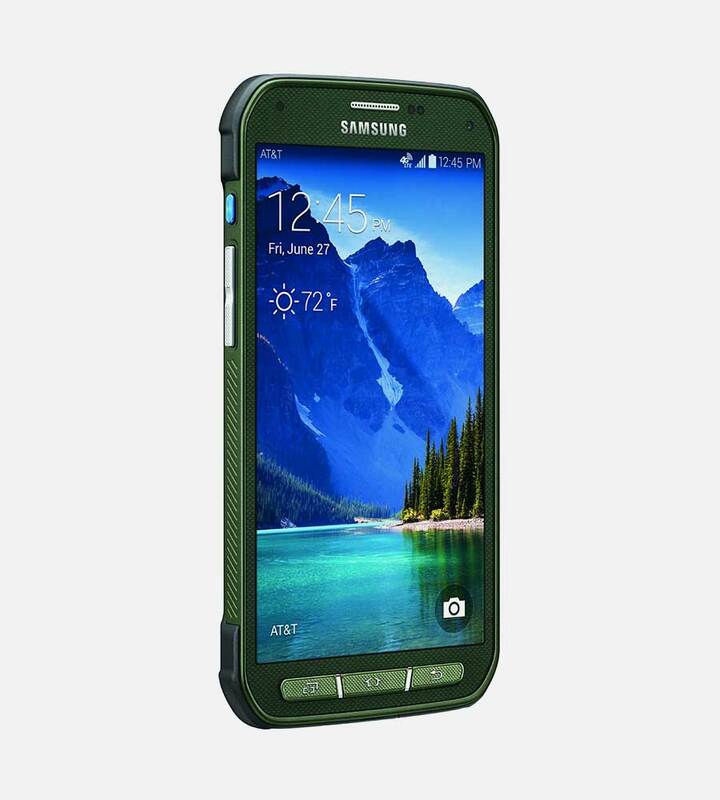 The Samsung Galaxy S5 Active, on its release, immediately became a best seller. So it’s no surprise that Samsung have followed up with an Active variant on the heels of the S4 Active which proved such a huge success. 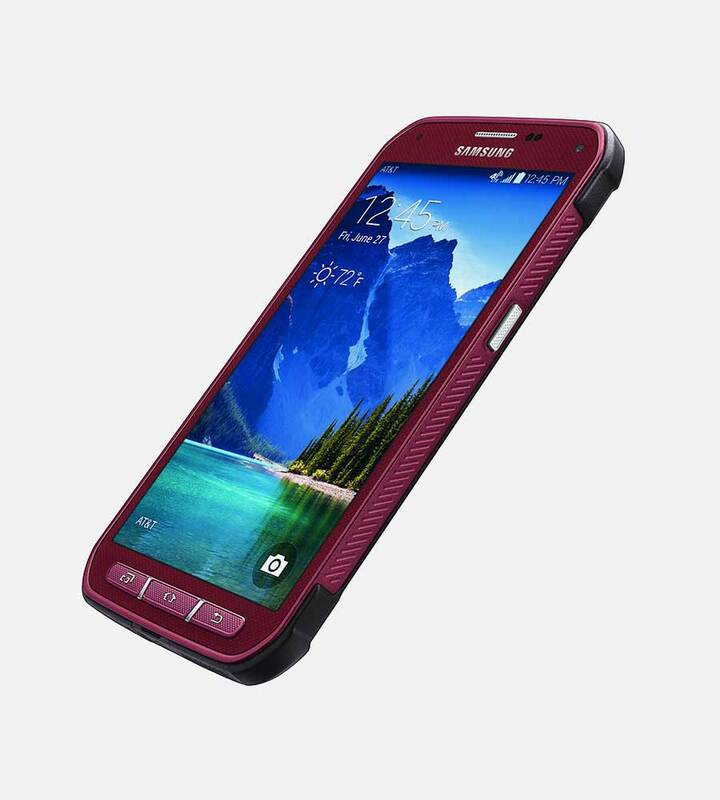 In all honesty, the S5 Active really is an S5 but with added strength and durability. The two things which may be crucial if you have jittery hands or fall in rivers a lot. The Active doesn’t lack any features or technical components of the base S5. It has been placed into a new, more robust case boasting dust-proofing and water-resistance for up to 30 minutes. So it’s Not an Actual Upgrade? It depends on your viewpoint. If you have a standard S5, then it may not be enough of a step up unless you really need the extra protection. 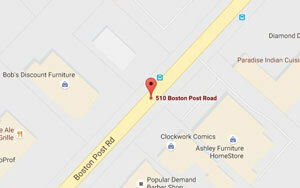 For anybody using the S3 or S4 or even the iPhone 5, then it warrants serious consideration. That the S5 and Active are regularly compared to the iPhone 6 in tests tells you that it punches it’s weight comfortably. It will even take on bigger opponents without being left behind. Samsung didn’t skimp on the technology for the S5. It regularly outperforms all bars of the iPhone 6 in performance, screen quality and battery life comparisons. This is another indicator that both S5 variants are serious contenders. 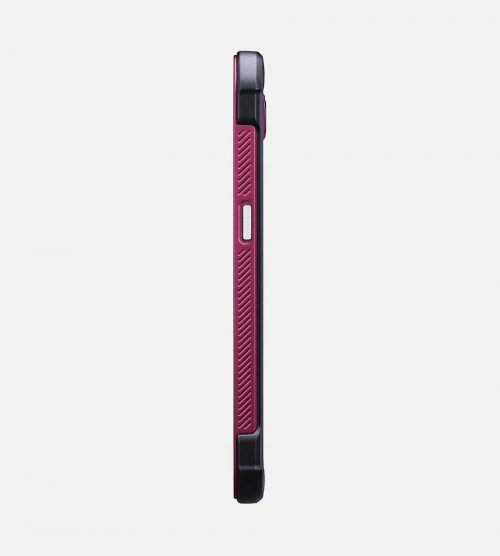 At the first, very quick, glance, it’s not obvious that the S5 Active is actually an S5 at all. But, once you look past the extra armor around the edges, an S5 is exactly what you get. Smartphone protective casings have been around for as long as people have been dropping them. However the Active range builds the protection into the main outer case. There’s no mistaking that extra padding has been added, and the overall look may not suit everybody, but the upgrade in protection is worth any initial concerns about the aesthetics. The feel in the hand is also slightly different to the regular S5 due to the extra edges provided by the protective case, although Samsung have done a great job in keeping the size increase down to barely 1/10″ of an inch on the long side, and less than half of that in width and thickness. The weight of the S5 Active is also less than 1oz heavier than the original S5. Otherwise, if you’ve used an S5, you’ve used an S5 Active. 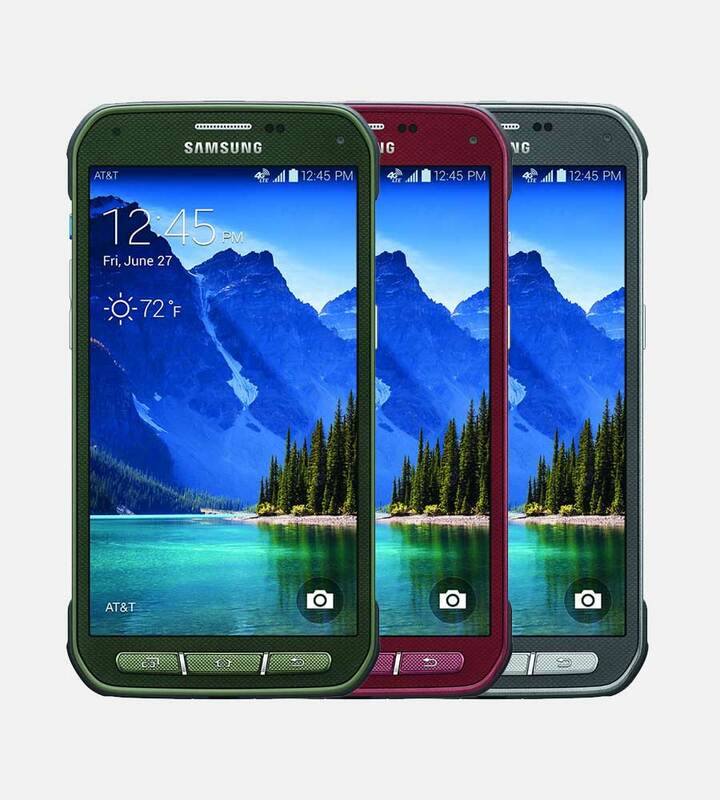 The S5 Active comes in 3 colors, Titanium (ie Gray), Ruby and Cameo (camouflage, actually). 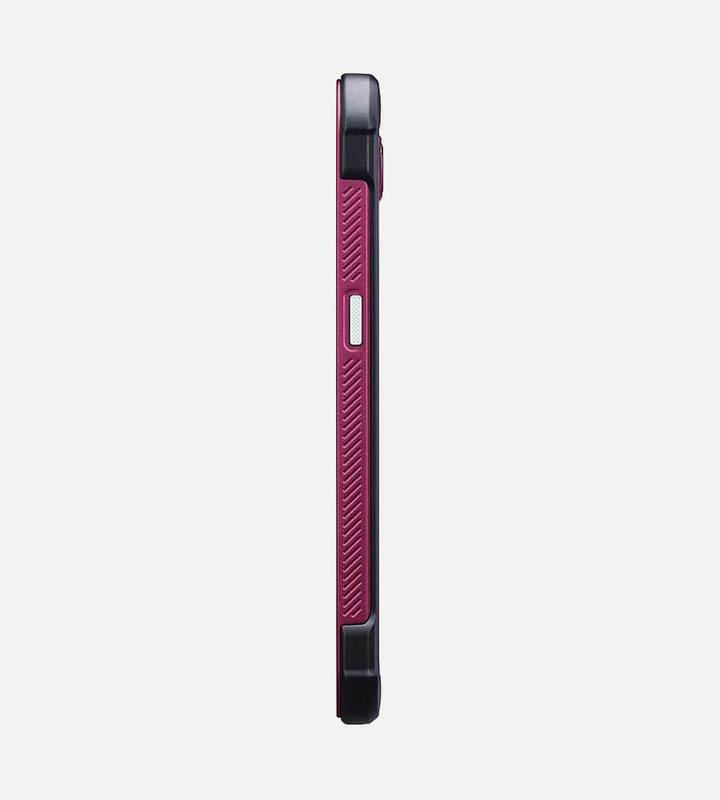 In all three colors, the protection matches the main phone case, adding to the overall feeling of coordination. Samsung have made exactly the right decision to include a gray model, as not everyone who will use the device is 14 years old. So How Protected is the S5 Active? The S5 Active has achieved two key ratings when it comes to what it can put up with, IP67 and Mil-STD-810. IP67 is a rating which more and more smartphones are working towards as a standard. The rating means that the S5 Active is 100% both dust and water-resistant. Note, we say “water-resistant” and not “waterproof”. The Active will withstand being immersed in water up to 1m depth for up to 30 minutes. So it’s not going to still be working if you throw it off a pier and it gets washed ashore 3 weeks later. Yet it should easily survive being dropped in a bath or down a toilet, which 19% of people have managed to do at one time or another. The Mil-STD-810 rating is a step up in testing altogether, and is the de facto testing conditions applied to military and other high-level equipment. Extreme temperatures, shock, immersion, humidity, fungus and a ton of other tests are required to be passed before the rating is awarded to any product or device. It also means that the S5 Active is less prone to the effects of being left in direct sunlight and means the internal electronics won’t be so susceptible to overheating to the point of ruination. If you want more info on the full extent of the Mil-STD-810 rating, Wikipedia will give it to you. Okay, it’s Rugged, But is it Any Good? 5.1 “, Full HD Super Amoled screen with a 432ppi pixel density, made of toughened Gorilla Glass 3. 16MP Rear and 2MP Front. The rear camera can also capture 4K UHD Video and has 4X optical zoom. LED Flash. 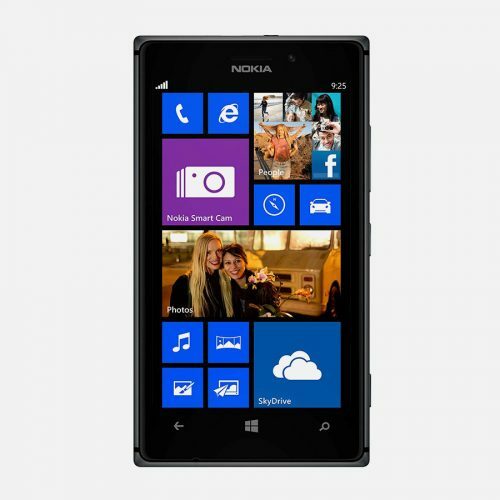 16GB internal plus up to 128GB by adding a MicroSD-XC card. Up to 13hrs WiFi or 12hrs 4G. Up to 77hrs music playback or 14hrs video playback. All of the above features match up to, or are better than, other smartphones in the same price point and target market. The screen is as bright and clear as any you’ll see and the battery life is mighty impressive especially when it comes to media playback. Call quality is excellent, with no dropping of the connection. There is the ability to capture 4K video, even though they can only be played back on the S5 Active in 1920*1080HD. It is a fantastic addition brought about by the quality of the rear camera. The S5 Active is so good that we actually wondered if we were missing something. A quick look around at other reviews shows we’re not. It really is as impressive as we found it to be. Indeed, the only criticism we found on other sites was that some believe it to be too close to the standard S5. They say it could have been upgraded with more than just increased physical protection. Then, though, it wouldn’t be an S5. So we stick by our assertion that the S5 Active is a fantastic device for everyday (and extreme!) use. 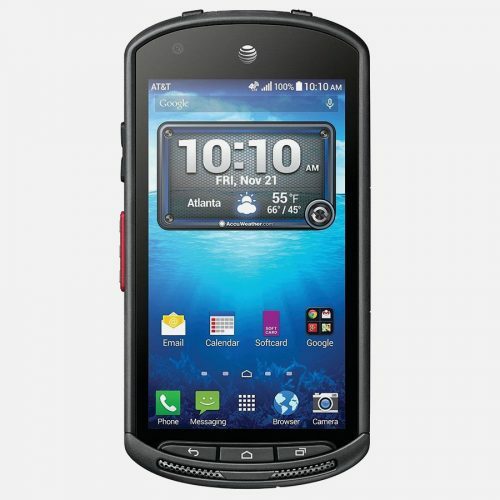 If you have slightly buttery fingers, like to fall in rivers or live in a desert, the s5 Active is the logical choice. It’s got high levels of built in sealing and shock protection for that exactly. That it has all that on top of an already outstanding technical base make sit something of a no-brainer in its class. It’s also the ideal choice for sporty outdoor types. After all, it will survive crashes, falls and exposure to the elements better than any of the competition. Yes, it feels a bit different and, yes, it looks a bit different, but so does any new phone you ever pick up. We are happy to say that we quickly got used to the slightly quirky feel. It was easy to grow to really like the way it sits in the hand. We also feel much more confident carrying it about in the hand. Rather than being paranoid about dropping it and seeing the inevitable spider-web screen we’ve all become accustomed to. Another review described the S5 Active as “…Mustang performance in a Humvee body”. We couldn’t put it better so we’ll just steal that.